Contact Andy at oxford@gyrocopterexperience.com or on +44(0)7855 301799 to arrange an Experience flight, a Trial flight or to discuss your bespoke gyro training requirements. The Gyrocopter Experience Oxford fly from Chiltern Park Aerodrome which is situated by the River Thames between Wallingford and Reading. Trial flights are offered most days and can be booked using the contact details above. Andy Jones and Clive Rose are the full time instructors at Chiltern Park. 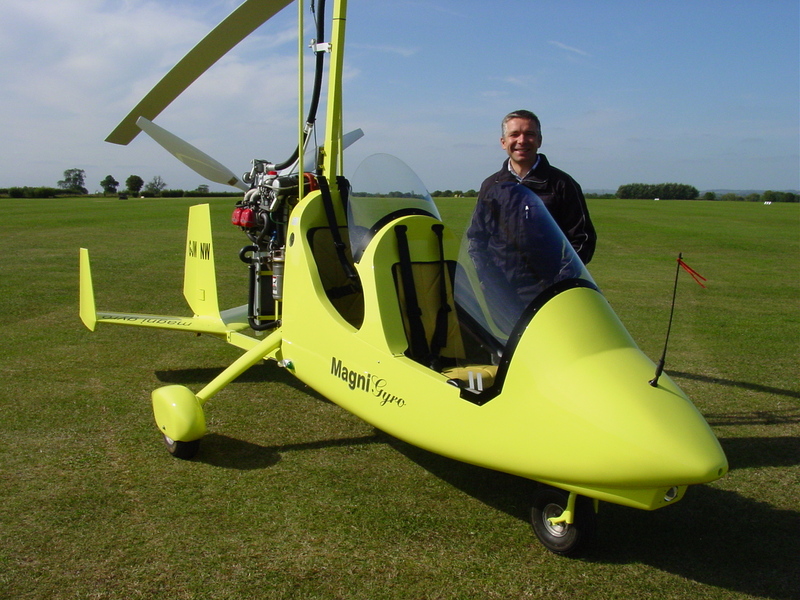 We provide experience flights and flying training on Magni M16, M24 and Autogyro MTOSport gyrocopters. We will also be able to train you on your own gyrocopter. Contact us to discuss your needs. Ask about our Bespoke Video Service for a lasting video record of your Experience. Chiltern Park Aerodrome has a large and vibrant "Gyro Community" with friendly instructors and pilots, and an onsite engineer. Come and join the fun! 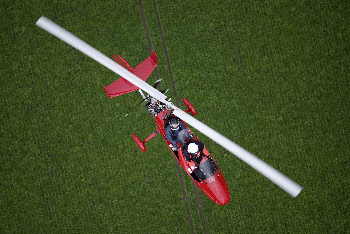 This is your opportunity to take to the skies in a Gyrocopter. You will be able to experience the thrill of Gyrocopter flight, where all the special characteristics of this type of aircraft will be demonstrated to you. You will also be given the chance to take the controls & fly this motorbike of the sky yourself. All Gyrocopter Experience events begin with a technical briefing which includes an introduction to how a Gyrocopter works and how it is flown. There will also be an important safety briefing. Your Gyrocopter Experience flight will last for around 30 or 60 minutes (depending which option you selected) and during the flight you will have the opportunity to take the controls and fly it yourself, or you can simply relax and enjoy the panoramic views. If you later decide to train for your private pilots licence to fly a Gyrocopter, then your Experience flight Exercise 1a of the syllabus - will count towards your training. 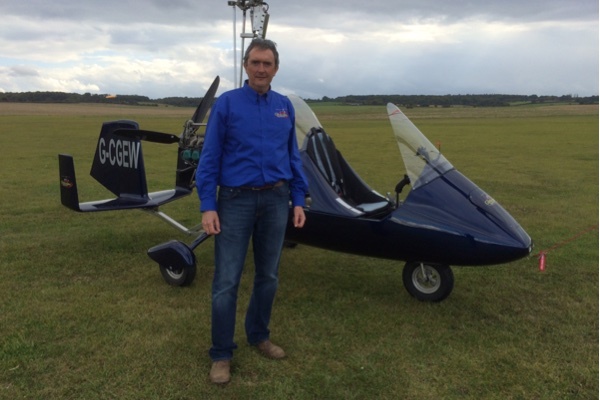 Andy is a qualified Gyrocopter Flying Instructor and Examiner. He has flying experience spanning over 20 yrs. 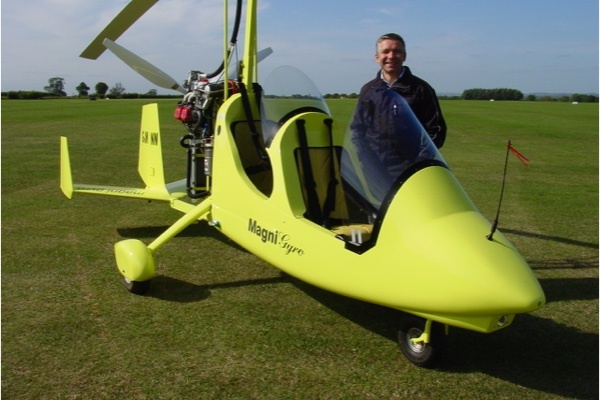 He is the Chief Flying Instructor at Gyrocopter Experience Oxford and is qualified to instruct on all factory built open and enclosed gyrocopters. His aim is to make your Gyrocopter experience as enjoyable as possible and will tailor an IAPGT training program or Experience flight to suit your needs. Give him a call on 07855 301799 to discuss your gyro flying requirements! Clive is a graduate of the IAPGT Training Academy and is qualified to Instruct you in all factory-built open- and enclosed Gyrocopters. His first flying lesson (in a Cessna!) was in 1979 and he discovered Gyrocopters in 2009. He can create a video of your Gyrocopter Experience to show friends and family and will tailor an IAPGT training program or Experience Flight to suit your specific needs. Give him a call on 0777 333 8020 to discuss your requirements! 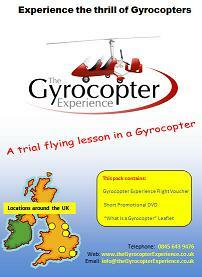 All Gyrocopter Experience Oxford instructors train to the IAPGT standard.